Getting abs is not as simple as just decreasing carbs but that will take you one step closer to getting the kind of bodyfat level that you need. My previous post talked about diet and briefly talked about why you should cut certain foods out of your diet, in this post I want to tell you why you should decrease carbs. I am assuming that you are the average person with the average metabolic rate, people with fast metabolism have an easier time burning calories and tend to get away with a lot of eating without gaining much fat, but they still got to work for their abs but not as hard as most people. I will say that we are all different and respond in different ways to different diets so you have to play around with your own diet to see what work and what does not. Let me start with some historic information, people back in ancient times survived by eating meat mostly and fruits and veggies, the meat provided all the protein they needed, it also provided the fat that they needed (yes we actually need fat, a diet without fat is in fact unhealthy), the fruits and the veggies provided proteins, fiber and other important nutrients. To put things simply olden day people were not obese, but were lean, strong and healthy, nowadays obesity is an increasing issue with families increasingly dependent on junk food and canned processed foods which are not good for them. The problem we have now is that we consume too many calories but I am only going to talk of carbohydrate in this post. So to rephrase my previous statement, we consume too many carbohydrates, some of the foods (carbs we eat) are empty calories with little to no benefit to your health and nutrition, the best thing you could do to lose weight is to stop eating bread products, rolls, buns...the list continues but I am sure you get the point. It is even worse if you are woman because your metabolic rate is lower than male metabolic rate which makes it easier for you to gain fat (the world is not fair I know). 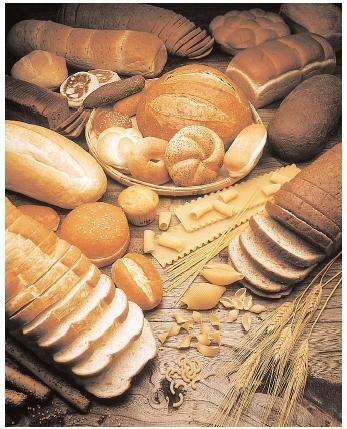 Carbs are used by the body as an energy source, so that you are able to do your daily activities. If you have a job that involves a lot of sitting you do not need to consume many carbs, that works against you because you do not use the carbs you consume instead your body converts and store the carbs as fat. The best thing to do is to eat carbs during your most active times of the day so that they are used and not stored as fat. It is best to have the bulk of your carbs earlier on in the day so that by the end of the day you have used up those calories, infact you need to eat most of your carbs at breakfast when you body need the energy plus it will give you body the longest possible time to use them. Since this is a post about getting ripped abs I am assuming you workout because you can’t possibly think you can get ripped abs without exercising. It is best to consume carbs before and after a workout as they will most likely be used up because you use up a lot of energy when you are working out and the period shortly after that. Also avoid eating carbohydrates late at night, you will not use the calories you take in and they will be store as fat. When it comes to getting ripped abs fat is the enemy, and decreasing carbs and being mindful of when you have them will help you lean out and stay lean.